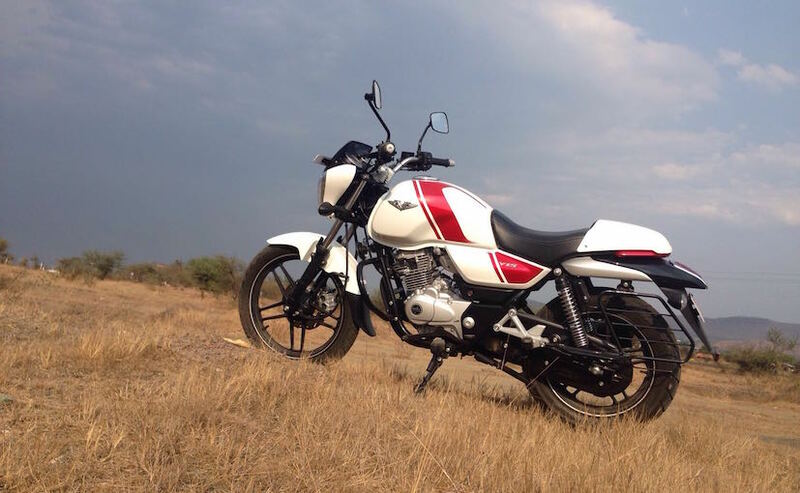 The Bajaj V15 is the latest 150cc commuter motorcycle from Bajaj Auto. A homage to heritage and history, the V15 gets metal from the scrapped aircraft carrier INS Vikrant. In a way, that in itself is the USP of this bike, named after India's first aircraft carrier - and marketed as a tough as nails, bold, sturdy new commuter motorcycle. It's also a bold new attempt by Bajaj to bolster its fortunes in the 150cc commuter motorcycle space. 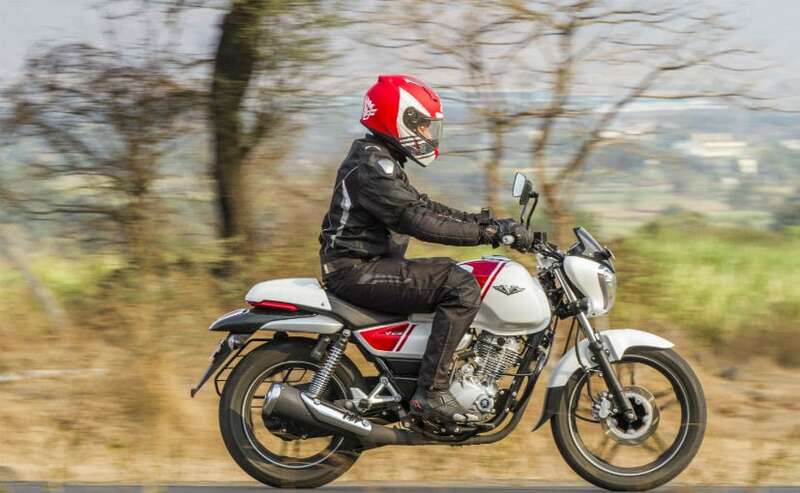 Sure, the Pulsar 150 has always been the king of the 150cc segment, but other attempts by Bajaj to get a slice of the commuter riding populace have not met with much success - like the Discover 150 series. 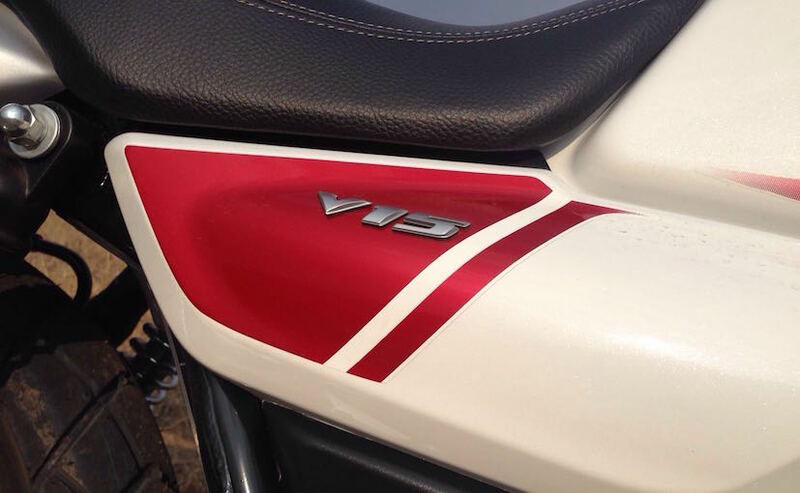 The V15 will straddle that space - bang in the middle of the Discover and the Pulsar series. So, it tries not to be a plain Jane commuter, yet doesn't aspire to be a sporty 150cc either. 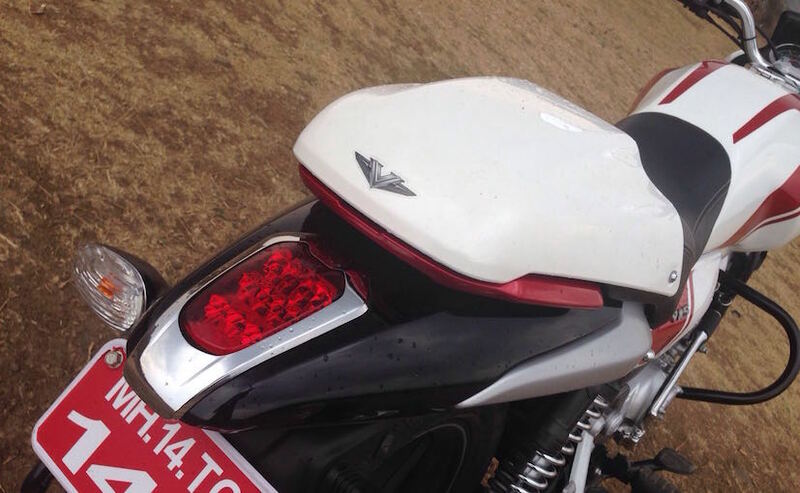 There's a certain amount of confusion about the way the Bajaj V15 looks. Of course, looks are subjective and you can always get into the nitty gritties of what this bike should be classified as - there could be criticism even, that this looks like a cruiser, a café racer and maybe, just maybe, has even hints of a retro streetfighter (if you could call it one). But overall, the design isn't something, which, to our eyes is an eyesore. 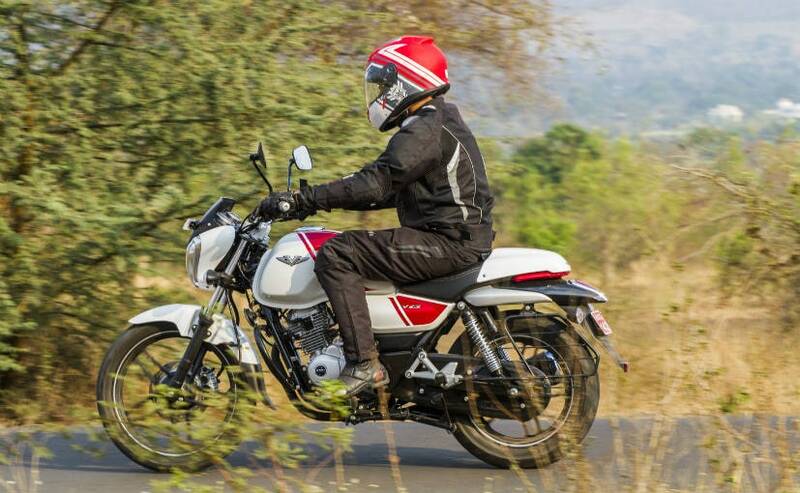 For a motorcycle in the 150cc commuter segment, the V15 makes quite a bold statement - that of something, which stands apart. It doesn't look anything like any of the commuter bikes we see on the streets, it's not radically different from what a motorcycle should look like. 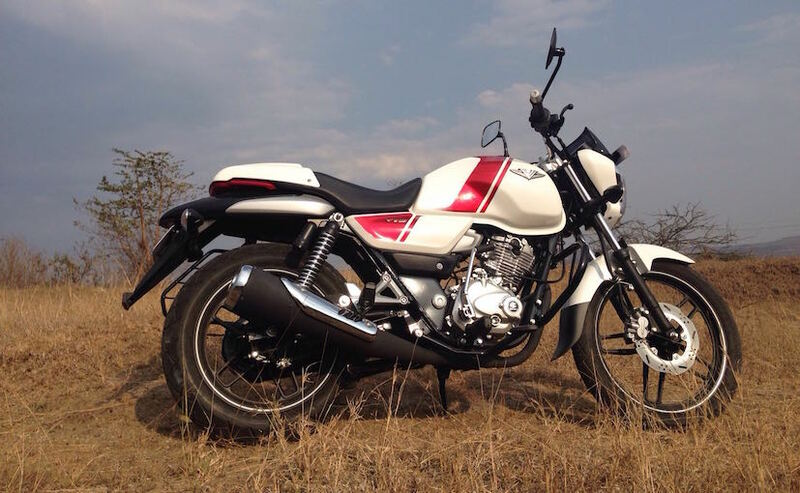 In fact, the way the Bajaj V15 looks could very well be attributed to a neo-retro design. To me, it evokes the simplicity in design of motorcycles of the '80s, yet with modern touches, which underline its contemporary styling. So you have a muscular tank and a rear seat cowl which evoke café racer-ish elements. Then you have the wheels - 18-inch front and 16-inch rear - shod with fat rubber, which is what conventional cruisers follow. But the overall silhouette is quite pleasant, robust and very different from what we are used to seeing on the streets. Then, of course, you could find the headlight styling a bit quirky, or the very simple instrument panel - which only gets an analog speedometer, odometer and a fuel gauge. It's been kept minimalistic to cut down costs, but we feel, the premium tag of the V15 could have been pumped up a bit with a better cockpit feel - with a slightly better-equipped instrument panel. The biggest USP of course, is the name itself, the V being named after the decommissioned, dismantled and scrapped aircraft carrier INS Vikrant. Bajaj was already on its way in the production cycle of the V15 when the INS Vikrant was scrapped. 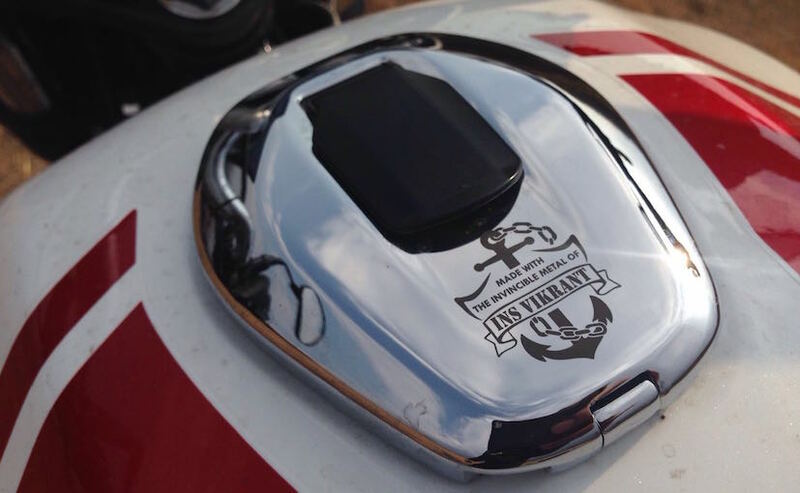 A marketing agency came up with the idea of paying homage to one of Indian history's iconic military symbols - the INS Vikrant being the sole aircraft carrier to serve active duty in the 1971 war. And since the metal could be acquired as scrap, why not use parts of it in the bike itself and call it "part motorcycle, part war hero"? That led to the name of the bike and the marketing campaign of an "invincible" bike. Invincible or not, the V15 certainly looks solid and has presence. Now, the Bajaj V15 is a completely new motorcycle - new design, new chassis (a double downtube frame), and a completely new engine. 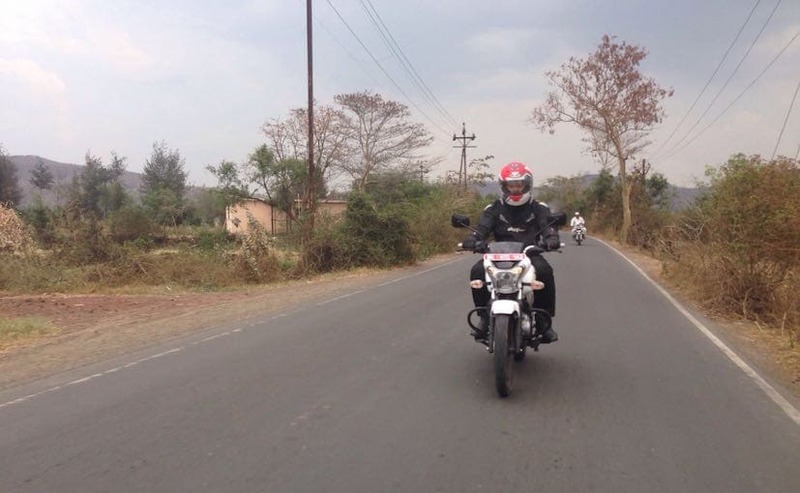 Where it differs from any of the current 150cc engines from the Bajaj stable is that this one has been built keeping in mind the strong personality of the bike. The brief, we are told, was to have an engine which will give a sense of a solid, stable ride, than outright lightning fast performance and the inherent sporty nature that we have come to identify Bajaj bikes with. In a way, it's a step away from the norm, but it's a conscious effort, that to make a commuter feel strong, stable and make a statement - much like a strong, silent personality. And that becomes apparent the moment you step out on the V15 - the exhaust note is meaty - deep throated and quite bassy for a 150cc bike, and you open the throttle, there's no drama. There's no strong and urgent lurch forward; the clutch needs to be disengaged fully for the power to kick in, but it moves with strength, the pull comes in strong and low and the meaty exhaust note complements the engine's character. In fact, within the city and in traffic, it's quite a pleasant bike to ride around - potter around without a care in the world, the grunt of the engine coming in low and strong. You could change gears in rapid progression and the engine will pull cleanly, without a hint of stress or knocking. In fact, fifth gear is good enough to pull cleanly from as low as 38-40kmph. What this means, for the average commuter, is less gear changes, less stress and effortless riding in the urban jungle. The ride is plush, yet firm enough to shrug off large road undulations and bumps, but then if you hit a series of small broken patches, the bumps are felt. But overall ride quality is quite nice and is certainly not to be dismissed as uncomfortable. The suspension works great, on the roads that we rode the V15 on, and shouldn't be cause for a complain for any consumer in this commuter motorcycle segment. On the flip side though, there's no top end to speak of. Vibrations start creeping in as soon as you cross 70-75kmph and the engine feels strained and hard at work at those speeds. The V15 is the happiest pottering around town between 40-70kmph. And while you're at it, you don't need to work the all-up pattern gearshift a lot. Talking about the shifts, they are somewhat clunky, and we encountered quite a few misses, while downshifting and even some reluctance to shift into position while standing still. Overall the transmission isn't outright rubbery, but could have been a bit more precise. 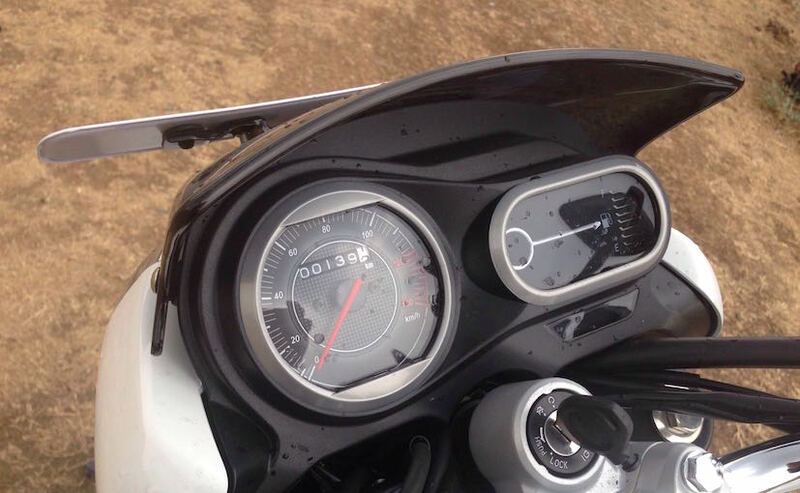 Another 150cc motorcycle from Bajaj? 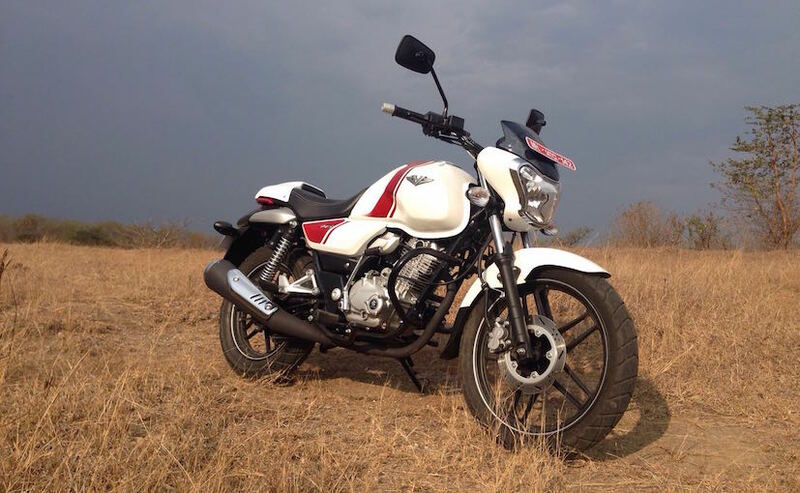 So, where does the Bajaj V15 fit in? It looks quite different from the kind of 125-150cc bikes that you're used to seeing on the streets. 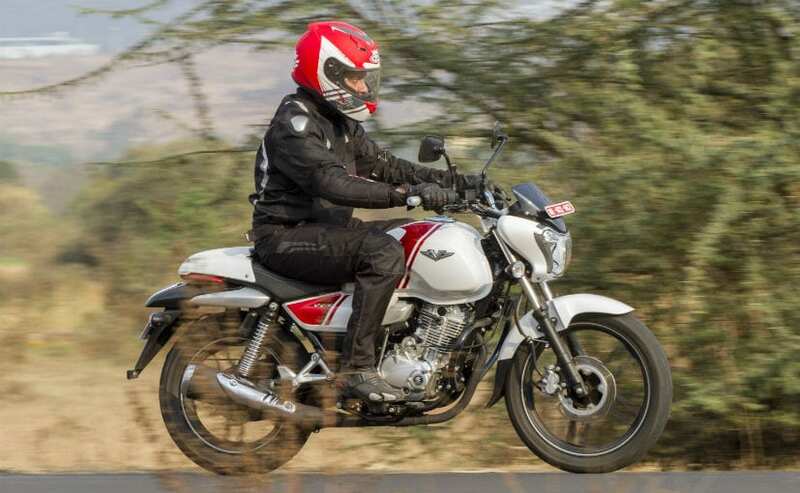 Now, Bajaj has high hopes from this bike, expecting to sell about 50,000 units of the V15 every month once deliveries begin and a smooth production-sales cycle is maintained. But will it be a success? Or will it slowly disappear as a limited edition homage to heritage and history? At this point, you never know. Priced at ₹ 61,999 (ex-showroom Delhi), including standard accessories like the rear seat cowl, an additional grab rail and a crash bar, the Bajaj V15 isn't what you'd call a very expensive proposition in this segment, sitting right in the middle of the 125-150cc segment. What it offers is a 'different' commuter motorcycle - both in terms of looks and performance. It's not a sporty personality for sure, and it certainly isn't for scorching streets with speed and acceleration. What it offers is relaxed, stable cruising - without any stress of working the gears too much and enough grunt to effortlessly tackle the challenges a commuter bike faces with. Is it all the motorcycle you're looking for? Difficult to say. It offers a whole lot of newness - a different approach to styling and not so usual performance; it's refined and the engine feels solid and dependable. It could be all the motorcycle you need, and it could be nothing close to what you need. All we can say is - take a test ride - you could well be pleasantly surprised.